CHECK OUT OUR VIDEO OVERVIEW! Although our activities are structured individually, allowing you to get to know most of the camp community very well, the cabin group is at the heart of the camp experience. Each cabin group has an average of 10 boys, and either 3 or 4 counselors. The counselors have their own room, but under the same cabin roof. So much to tell you, so little cyberspace. We're very proud of the quantity and diversity of our activity choices. Read on...you're gonna learn a lot! Each summer we send out over 40 canoeing, backpacking, and rock climbing trips to sites in Wisconsin, Michigan, Minnesota, and Canada. Our trips last from 3 - 12 days long, and they focus on enjoying the beauty of nature while making choices to protect and preserve the environment and all its inhabitants. Talk about the greatest memories! 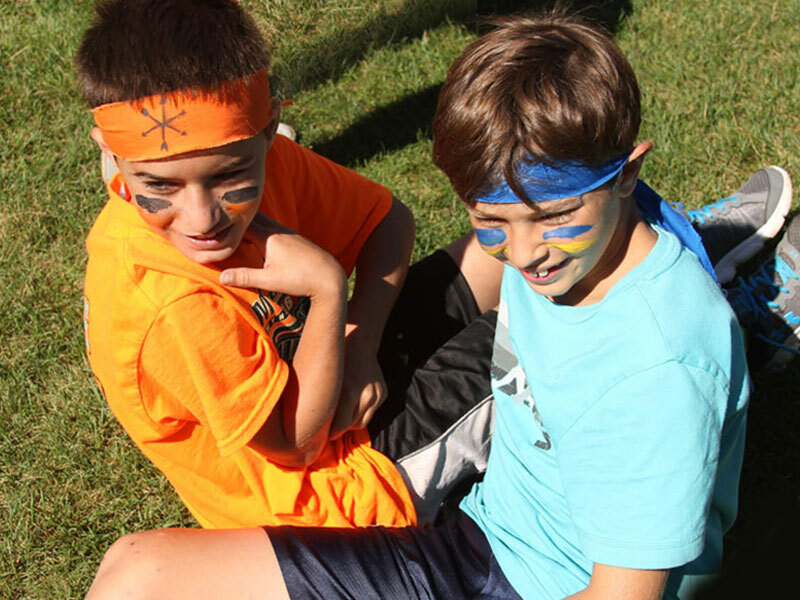 Click to apply for Camp Timberlane today! My son came home more confident and independent than ever! Camp Timberlane is a fantastic place for boys to spend a few weeks away from the pressures of everyday life, unplug, and spend uninterrupted time being young, energetic, and carefree. Our son has greatly benefited from the camp experience and will carry the memories and relationships made at Timberlane with him, always. I could not ask for a better experience for my son for camp. It is not only a fun place but it is safe and meaningful where the kids can grow and become young caring men. Timberlane takes into consideration the whole person and cultivates a sense of community and stewardship. The directors and staff are attentive and caring and exemplary models for growth and independence. If you are looking for a camp where your child can easily make new friends of all ages, step outside their box, boost self confidence, learn how to ski with an amazing ski program and much much more, then Camp Timberlane is for you. Camp Timberlane is a place where boys don't have to feel like they have to be part of a certain group or have to talk to kids only their ages. Where counselors treat you like a friend and help boost confidence and resilience. It's awesome! This summer I was lucky to get to pick up my son at camp. I was blown away by Camp Timberlane!! The atmosphere and experience was heartwarming! When we got there, I saw how everyone, younger and older, were so welcoming and friendly. He knew most of the camp and had established all kinds of relationships with counselors and campers! Also, he came home even more independent, gained self-confidence, and had experienced so much!! My son can't wait to go back to camp and we couldn't be happier!! Camp Timberlane has helped teach my boys to be strong, ethical, caring young men under the guise of terrific fun. Camp Timberlane is SUCH a special place. My son feels SO supported and comfortable at Timberlane - by both adults and peers. Mike and Leslie have created a warm, encouraging environment - a true home away from home. Camp Timberlane is an amazing place for boys! The boys have so much fun and they are in a safe and healthy environment. The owners care immensely about the success of each and every child. The boys have such fun in the cool, northwoods of Wisconsin with all sorts of activities where they can just be kids (and no technology!). Our son gained confidence and independence all while meeting new friends and having fun with his camp buddies. The directors and counselors/staff are all so friendly and really know how to provide the best for the boys. This was our 3rd summer and we'll definitely be back! Camp is our son's 'special place' and we are so thrilled that he gets to experience this each year. He reunites with kids from around the country and comes home a grown, more grounded and appreciate child. Parent of 5th and 4th year campers. Timberlane stories are a daily conversation in our house. I have complete trust in the staff and am confident they care deeply about my boys safety and wellbeing. Timberlane is a place to be yourself, have fun, and make the best friends you'll ever have. Summer is a unique and special time for kids to play, explore, make friends, grow, and have fun. That’s how we look at it, and that’s what guides everything we do at camp. For more than 50 years Timberlane has made summers special and helped 1000s of boys grown into happy, dynamic, and socially successful adults. Please explore our site and contact us to learn more.